Prior to the completion of its transaction with Facebook Inc (NASDAQ FB), Oculus VR acquired RakNet. Raknet is one of the World’s leading networking middle ware systems provider in the gaming industry owned by Jenkins Software LLC. Facebook entered an agreement to acquire Oculus VR for approximately $2 billion in cash and stock last March. Oculus VR did not reveal the terms of the RakNet transaction. This is the second acquisition of the virtual-reality company prior to its merger with Facebook Inc (NASDAQ FB). The company previously purchased Carbon Design Group, an industrial design and product engineering company. Carbon Design developed the Xbox 360 controller for Microsoft Corporation (NASDAQ MSFT). In addition to the RakNet acquisition, Facebook (NASDAQ FB) acquisition Oculus VR also announced its developer conference dubbed Oculus Connect to bring together designers and engineers around the world to collaborate and share their interest in creating the best virtual reality experiences. Oculus VR decided to open-source RakNet following its acquisition. According to the virtual reality company, the game networking engine is now open-sourced under a modified BSD license from Oculus GiftHub repo. Facebook Inc (NASDAQ FB) uses a similar license for its open source projects, according to the virtual reality company. Oculur VR explained that it had a long relationship with RakNet’s lead engineer and Jenkins Software founder, Kevin Jenkins and it used the technology internally for various networked systems and tools. According to the virtual reality company Oculus,”We’ve used RakNet internally at Oculus for various networked systems and tools. After working with Kevin for a few months, we were all excited by the idea of open-sourcing RakNet to the community”. Oculus VR emphasized that RakNet’s technology is set for cross-platform and high-performance applications that operates across a wide variety of networks. The primary features of RakNet include object replication, remote procedure calls, patching, secure connections, voice chat, and real-time SQL logging. 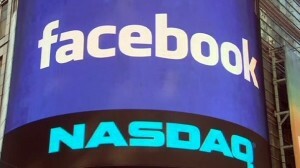 The said acquisition should benefit the Facebook stock which has been booked for an upside by many analysts.